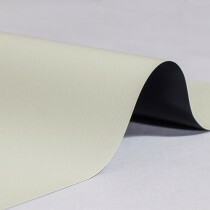 MaxiWhite is a flexible front projection screen material, designed to be tensioned to a frame. 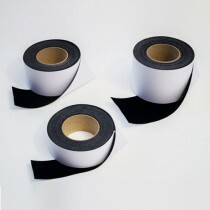 The three-layer technology consists of a smooth polyester front side, a central rubberised core and cotton backing. Its matt white surface makes it perfect for a wide range of applications, having a wide optimal viewing angle. ProWhite is a professional grade, flexible front projection screen material, engineered for performance. Ideal for both fixed and portable applications, ProWhite is required to be tensioned to a frame. Manufactured from 100% PVC, ProWhite is a highly durable screen material, designed for both indoor and outdoor use. 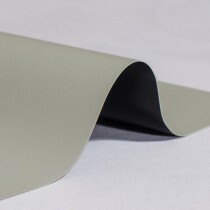 ProGray is a professional grade, front projection screen material that has been designed for fixed frame projector screens. 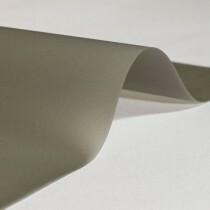 Manufactured from 100% PVC, ProGray is a highly durable screen material, designed for both indoor and outdoor use. UltraLay is a professional grade, front projection screen material. Formulated with a 300D technology core, UltraLay is a "lay-flat" screen material manufactured for roller retractable screens. The 300D technology core means UltraLay doesn't need to be tensioned to a frame to achieve a flat surface. UltraLay can be hung flat with the aid of a bottom bar, or permanently stuck to a flat surface. Manufactured with a 100% dual PVC coating, UltraLay is a highly durable screen material, designed for both indoor and outdoor use. Crystal Rear is a specialised rear projection screen material, ideal if you require the projector to sit behind the screen. 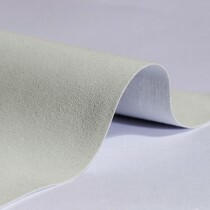 This semi translucent material is flexible, and is suitable for tensioned applications. Sitting the projector behind the projector screen has the benefit of hiding all projector equipment whilst providing the ability to walk in front of the screen without casting a shadow. Manufactured from 100% PVC, CrystalRear is a highly durable screen material, designed for both indoor and outdoor use.